Mina Sundwall is a young American actress who is most popular for her role as Penny Robinson in the Netflix family adventure series Lost in Space. Her performance in the series has left a lot of people stunned with her acting dexterity as she brings a blend of humor to an otherwise intense and suspense-filled film. Find out more about the Hollywood starlet here, including her bio, parents, ethnicity and other interesting facts about her. Mina Sundwall was born in New York City on the 23rd of October 2001 to her Italian mother and Swedish father. She spent her formative years in New York as well as a host of European countries such as Spain and France. Sundwall started acting from an early age and has acquired a decent filmography till date. Some of the movies and TV shows she has taken part in include Celebrity Ghost Series which is a paranormal reality TV series and the legal and crime drama Law and Order: Special Victims Unit. 2015 was a very good year for Sundwall as she appeared in no less than three movies. They include the romantic comedy Maggie’s Plan; the drama Freeheld, which chronicles the battle of a lesbian police officer to have her pension benefits paid to her partner after her death and the horror movie simply titled #Horror. 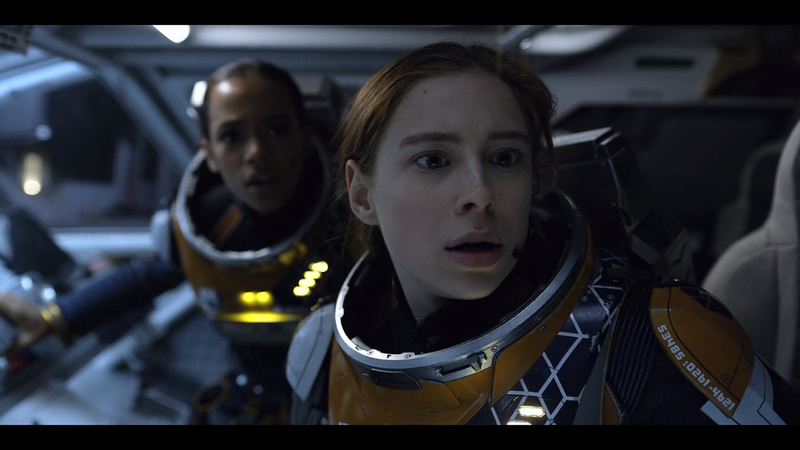 Sundwall’s biggest project till date, which is also her favorite work and which has helped catapult her to fame, is the Netflix adventure series Lost in Space which premiered in April 2018. The plot of the show is a very interesting one; the earth and survival of mankind is under threat as a result of a collision with objects such as asteroids and it is decided that some families would be selected to go and colonize another planet. One of such families is the Robinson family, of which Mina Sundwall plays the middle child Penny Robinson. On their way to the new planet, they are attacked by an alien robot which forces them to land on another planet. They have no choice but to adapt to their new environment and forge new alliances in order to have a shot at survival. Lost in Space is a reboot of a 1965 TV series of the same name. It was well received by fans and critics alike, some commentators even went ahead to rate it better than its precursor. As a measure of its success, the show earned some award nominations, an Emmy for best visual effects as well as drama of the year at the E! People’s Choice Award. It has also been renewed for a second season. Mina Sundwall has earned praises in a lot of quarters for her portrayal of the quick-witted and precocious middle child, Penny, who can always be trusted to provide comic relief in an otherwise dark and intense show. With her amazing performance, we can boldly assert that the ginger-haired actress is definitely one to watch out for in Hollywood. As aforementioned, Mina Sundwall is the only child of an Italian mom and a Swedish dad. Her father’s name is Fredrik Sundwall while her mother’s name is Nadia Sundwall (nee Leonelli). With regard to her ethnicity, Mina Sundwall has a mixed ethnic heritage; half Italian and half Swedish. Her nationality is American and she describes herself as a first-generation American. Her race is Caucasian. Sundwall reportedly weighs 121 pounds or 55 kg and is 5 feet 4 inches tall or 1.62 m. One can expect that as she continues to grow older, she will also become taller. The actress is a humanitarian. She regularly embarks on service trips to developing countries such as The Dominican Republic. On these trips, she and other teenagers participate in various charitable activities such as tree planting, building houses and teaching local children English. She describes Meryl Streep as her inspiration and the actor she most looks up to. Mina landed her first role at the very tender age of 8 months. Even though we do not know the name of the movie, we, however, know that she played the role of a baby who was kidnapped. Growing up, Mina realized she wanted to be an actor at the age of 6 after watching the movie What is eating Gilbert Grape. Before being cast for Lost in Space, she had never seen the original 1965 series. In her spare time, she likes reading, songwriting, and cooking. She is not good at biology as well as other science subjects. Like some actors and actresses, she has inked herself; a tiny tattoo on her finger and wings on her back. She is lactose intolerant. She cannot digest sugar contained in dairy products.